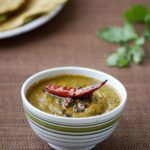 Onion Tomato Coriander Chutney is a soft, pulpy mixture of cooked tomatoes, onions and coriander leaves, again seasoned with mustard seeds. It has a slightly sweet, tangy and spicy taste that goes well with Indian breakfast dishes such as Semiya Dosa, Wheat Rava Pongal, Ragi Idli, Upma and Bread Medu Vada. This chutney will stay fresh for a couple of days if refrigerated. 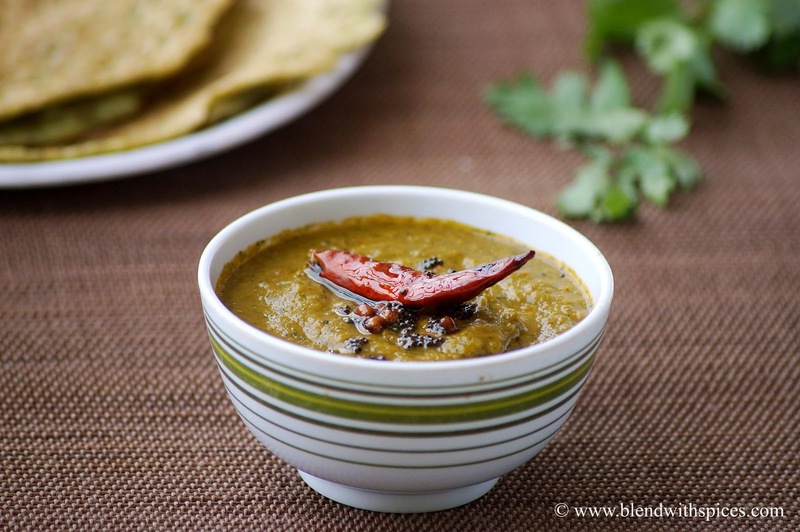 How to Make South Indian Tomato Onion Coriander Chutney Recipe with step by step photos and video. 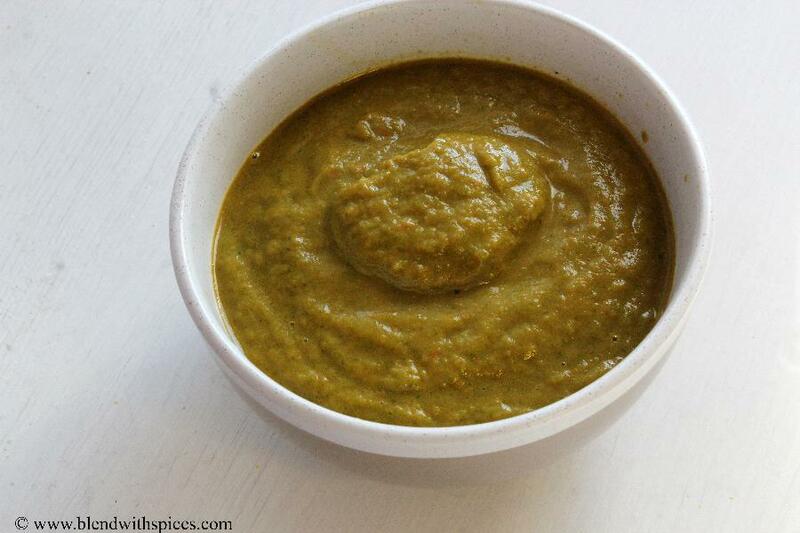 An easy, healthy and delicious chutney recipe for tiffins. 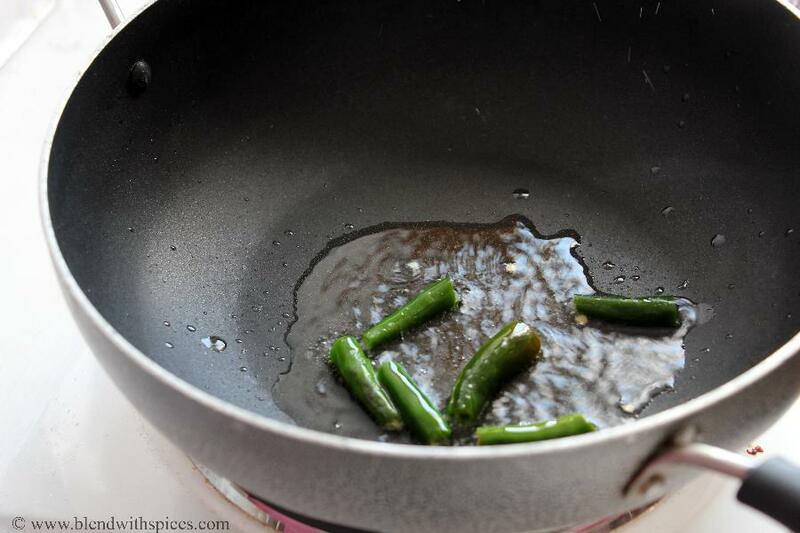 Heat a tablespoon of oil in a wok. add slit green chillies and saute for a couple of seconds. Then add chopped onion and saute until they are transparent and light brown color. 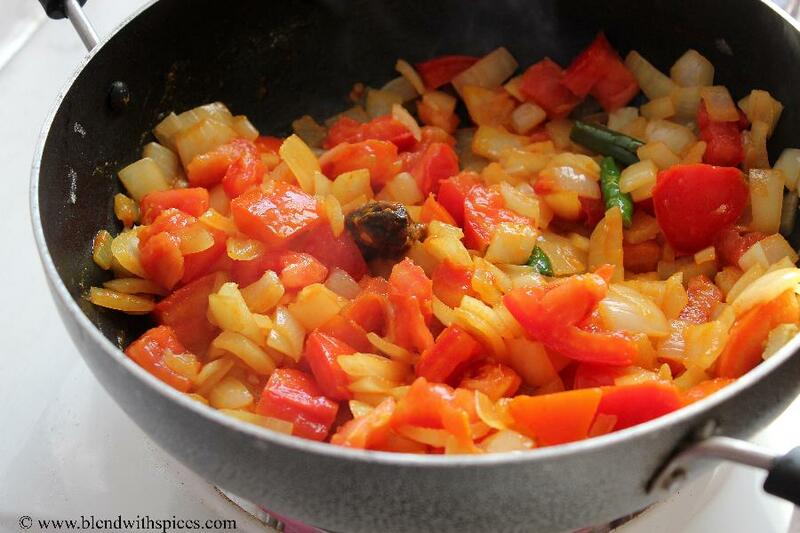 Now add the finely chopped tomatoes, turmeric powder and tamarind to it and cook till tomatoes are mushy. Finally add the fresh coriander leaves and let it cook for a minute. Add salt and powdered jaggery to the cooked ingredients and grind until smooth. Transfer the chutney to a bowl and set aside. 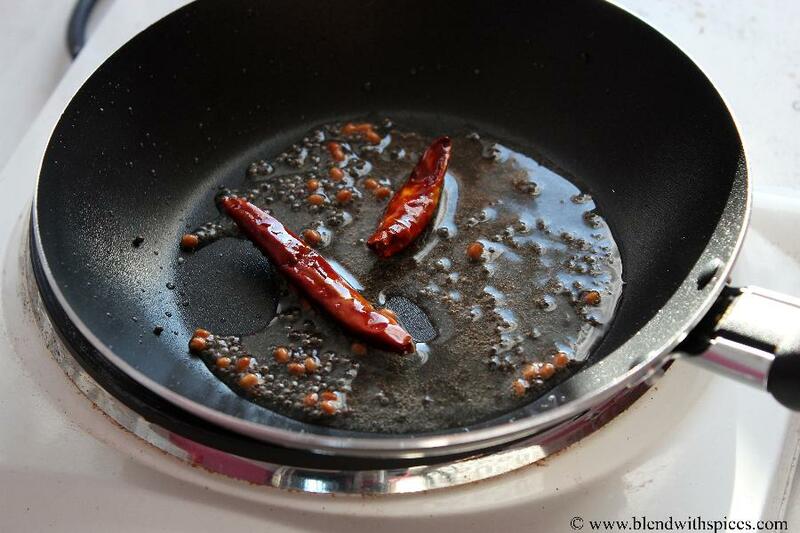 Heat a tablespoon of oil in a pan. Add the mustard seeds and urad dal and let them splutter. Add the red chillies and hing and fry for a couple of seconds. Serve with idli, dosa or any snacks like rava vada, poha vada, bread besan toast and onion pakora. Chop the tomatoes and onions into pieces and set aside. Slit the green chillies and keep them aside. Heat one tablespoon of oil in a pan and add the slit green chillies. Saute them for a couple of seconds. 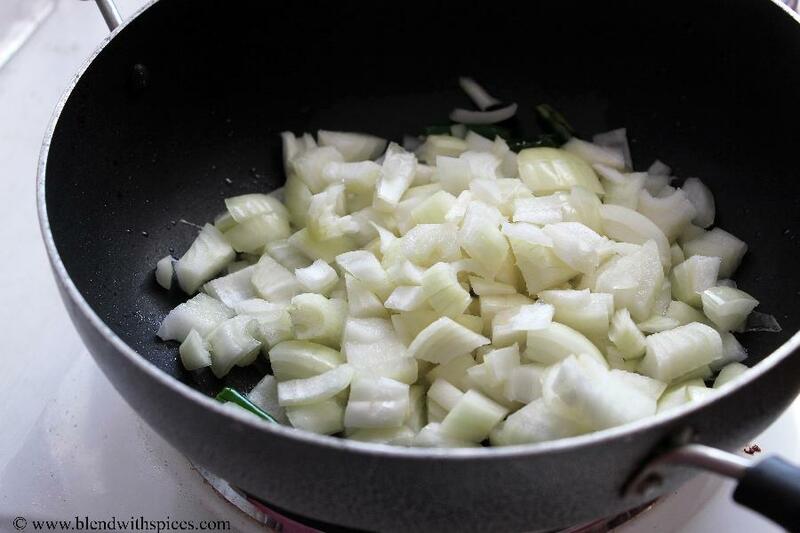 Add two cups of chopped onions to the same pan and fry until they are light brown and transparent. 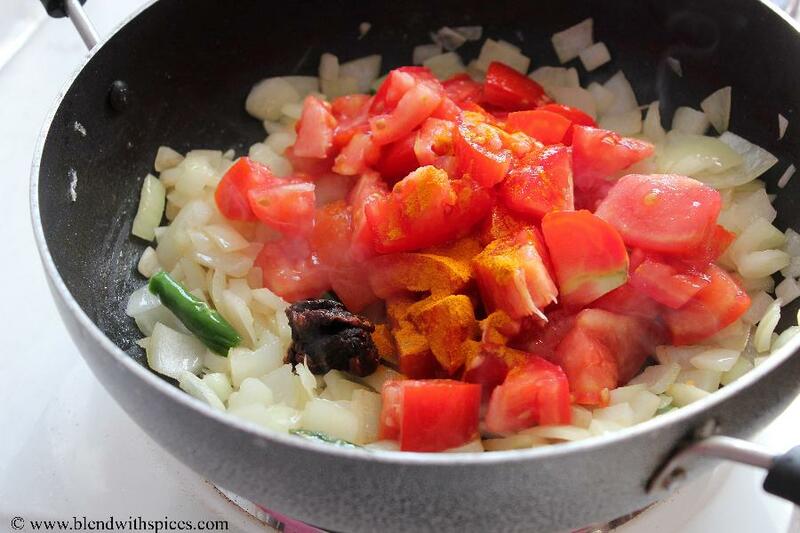 When onions are roasted, add the chopped tomatoes, tamarind and turmeric powder. Give it a stir to combine well. 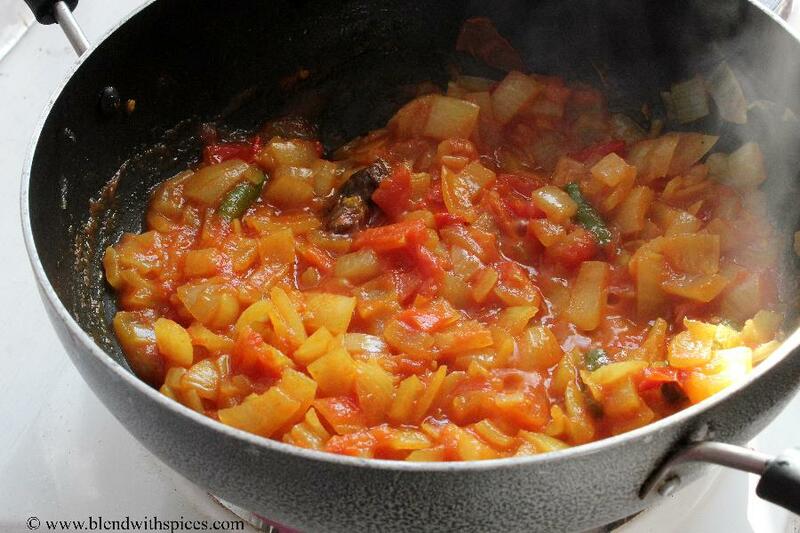 Cover the pan with a lid and let it cook until the tomatoes are soft and mushy. 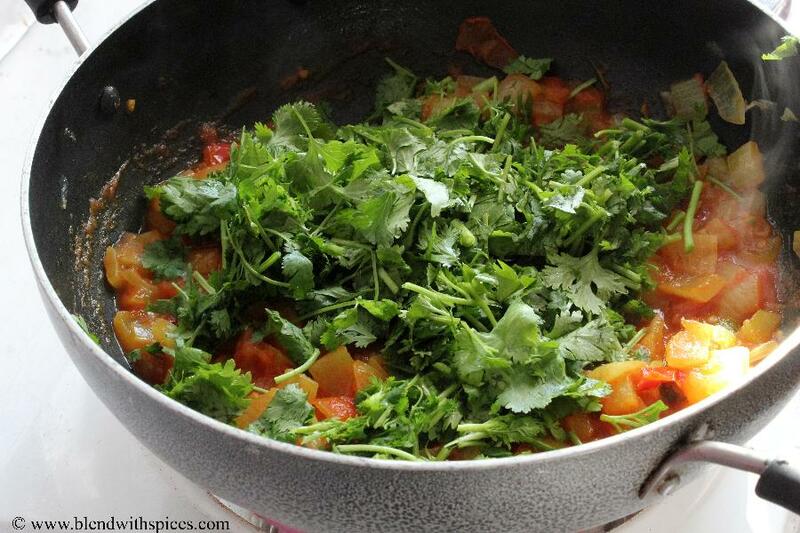 Open the lid and add chopped coriander leaves or cilantro to the cooked tomato-onion mixture. Mix and cook for a minute. No need to cook longer. 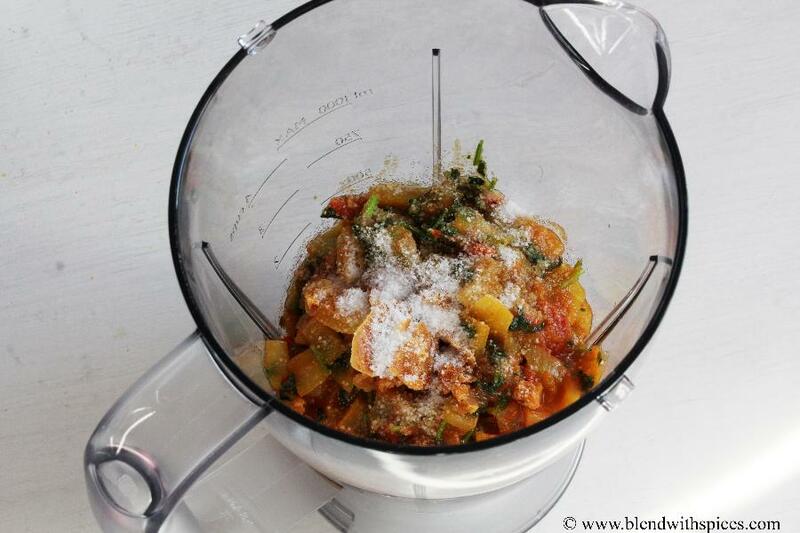 Transfer the cooled mixture to a jar or blender. Add salt and jaggery to it and blend until smooth. Use a little water while grinding if needed. Transfer the ground chutney to a bowl and set aside. 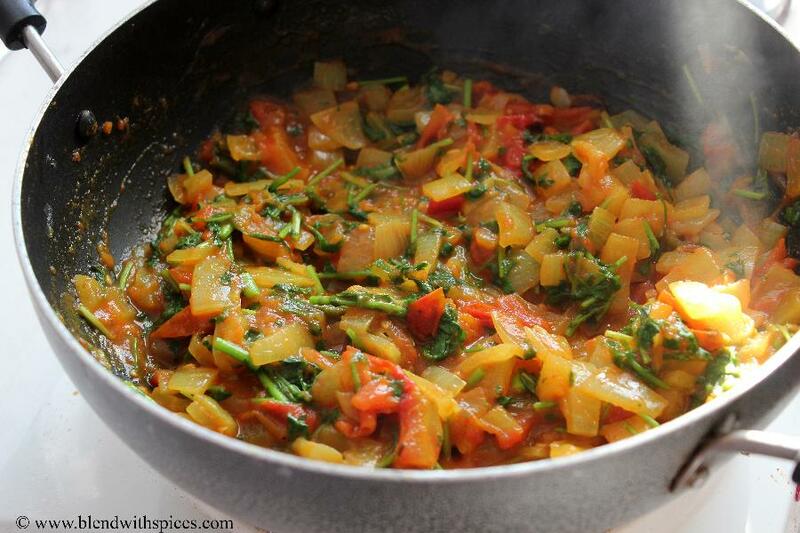 Heat a tablespoon of oil in a small pan or tadka pan for seasoning. 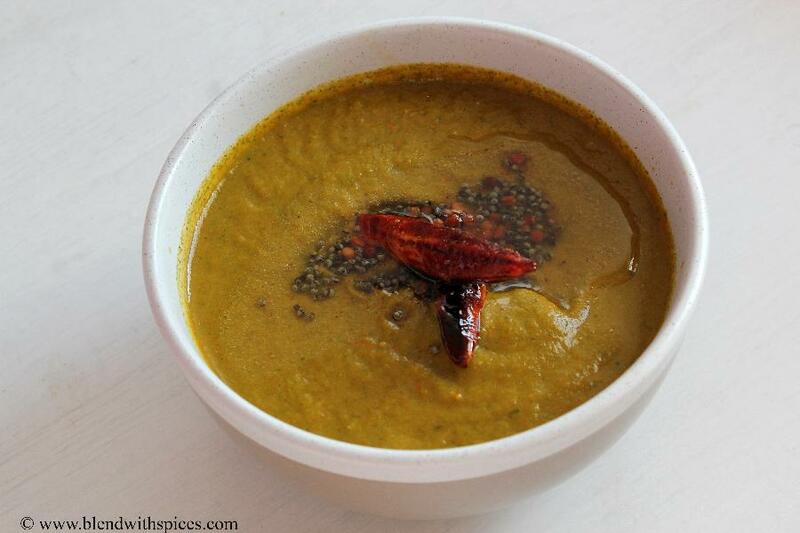 Add urad dal and mustard seeds and fry them until brown. Add dried red chillies and hing and saute for a couple of seconds. Pour this seasoning over the ground chutney and mix well. Serve with idli, dosa, vada, pongal or pakoras. 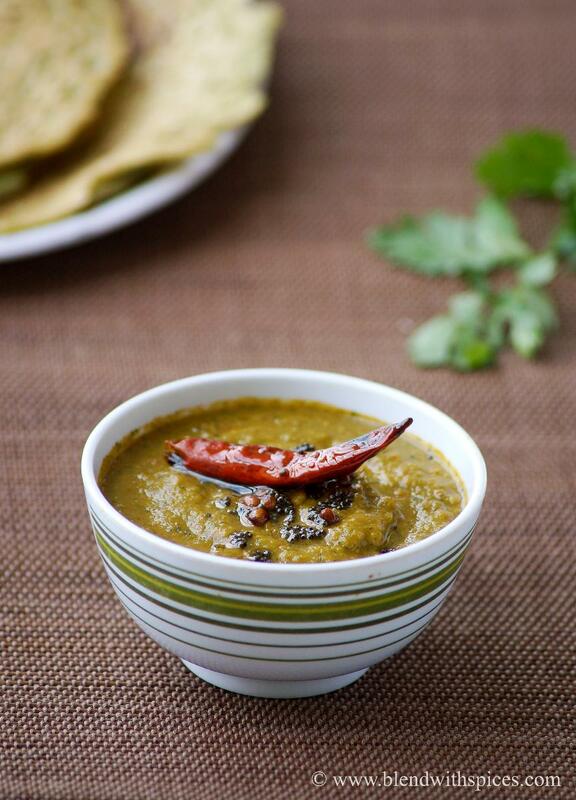 Delicious onion coriander chutney Hari. Looks nice ..and spicy too..
yummy and finger licking chutney. This with dosa, yummmmmmm. Yet, another nice chutney from you.